Right Triangle provides the best Enterprise Data Management / Architecture (EDMA) consultants available. Our people, combined with our philosophy and approach to optimizing the delivery of information, will deliver solutions to your organization. Our Right Methodology approaches data management as a constant cycle of Innovation of new ideas and solutions, Execution of projects, and Operation of production solutions. We view our customers as partners and work doggedly to provide solutions that add value by directly aligning EDMA with business objectives. Our consultants are trusted, thought leaders that continually look to improve the ability to efficiently deliver solutions. Furthermore, we incent our consultants to not be self serving on projects, but rather to truly identify the value added opportunities within a client’s organization and work to provide solutions through leadership and education. Each and every Right Triangle consultant maximizes their productivity and efficiency to deliver results the first time. We keep our footprint light and deliver success. An Innovator is constantly working to establish a program for technical and process improvements that deliver continued value to the business. In the case of EDMA you need architects who understand the current solution stack, the challenges to the current solution, and when/how to apply new technology and concepts to make the solution stack more efficient, usable, and valuable. Not only do you need to know where you want to go you must know where you are starting from. Successful EDMA programs innovate and evolve with the most efficient, value added journey that is a well defined plan drawing a straight line from a known starting point to a clearly articulated destination. Right Triangle project team members are focused on delivering the value of a program through efficient design, development, and implementation of new solutions. 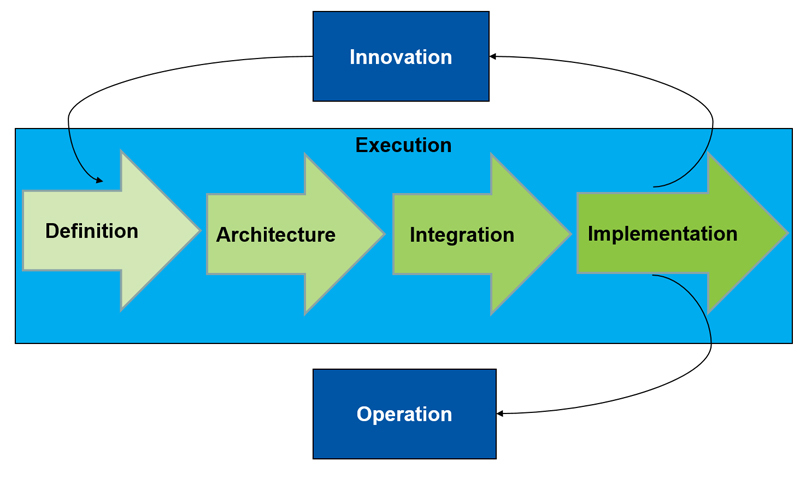 For EDMA programs, this requires program / project management, architects and developers that can execute all aspects of a project from design to implementation through the proven iterative Right Methodology. Right Triangle operators are similar to a project team member but with a focus on post implementation operations and support. For EDMA programs, this requires leadership for prioritization and management of activities, administrators for performance management, and developers for minor changes and break fixes.